Since being appointed as Prime Minister, Omar Razzaz has made it his business to build a close relationship with the Jordanian people. This time, by visiting the Northern Bus Terminal in Tabarbour, Amman. The unannounced visit was a complete surprise to the workers and bus passengers there on Thursday, who were keen to voice their concerns in a constructive way. Listening in on the conversation was the Minister of Transport and Municipal Affairs, Walid Masri, who accompanied Razzaz on his visit. 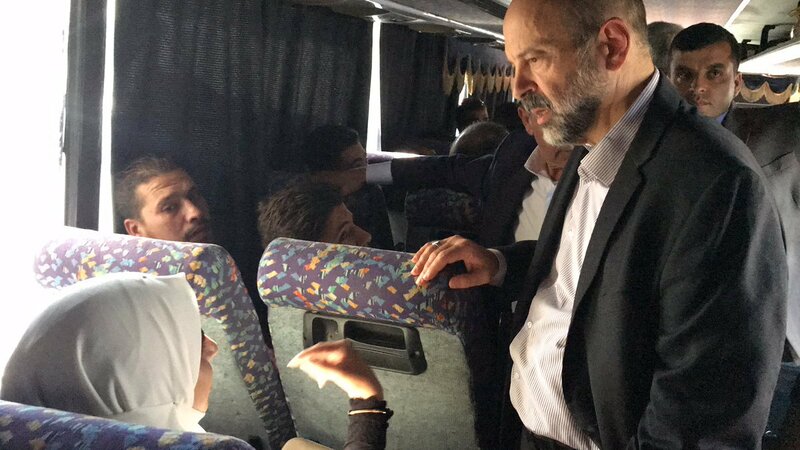 After hearing citizens’ comments and complaints, Razzaz assured them that the government is working on enhancing the transportation system in the Kingdom to provide top-notch services for everyone. The PM also confirmed that it is his top priority to improve the healthcare and education systems.